Do you feel an increased sense of urgency to be prepared for whatever the future may bring? Are you ready to have a stockpile of food in food storage buckets? Our 3.5 gallon plastic bucket is food grade and an ideal size for 25 pounds of pearled barley or 23 pounds of dry garbanzo beans. These food storage buckets are made with HDPE #2 plastic that is USDA approved for long-term food storage. Tough and sturdy construction with uniform thick walls makes unbeatable stacking strength. A reinforced top Saturn ring prevents and distortion - even when the bucket is full of very heavy things. Tapered design makes separation easy. Food grade buckets are made in the USA and are BPA Free. Order with or without a snap-on storage lid or a gamma air-tight seal lid. The easy-to-open double-gasket gamma seal lid creates a leak-proof and air-tight food storage container. 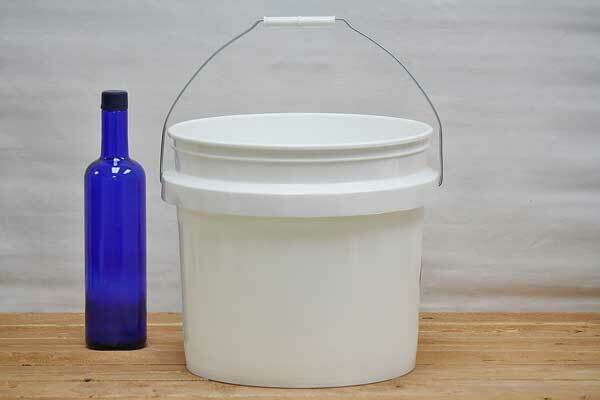 We also carry 5 gallon, 2 gallon, and 1 gallon food grade buckets with lids.